Gated, private road. Fiber optic high speed internet. Heat pump has 3 zones. Window seat with storage. Sky lights & lots of natural light. All appliances included. Reinforced deck for hot tub with electric connection. Storage shed with wood storage. A peaceful, serene setting with Deer Creek frontage accompanies this amazing craftsman style home custom built by Keith Lee with high quality finishes throughout! 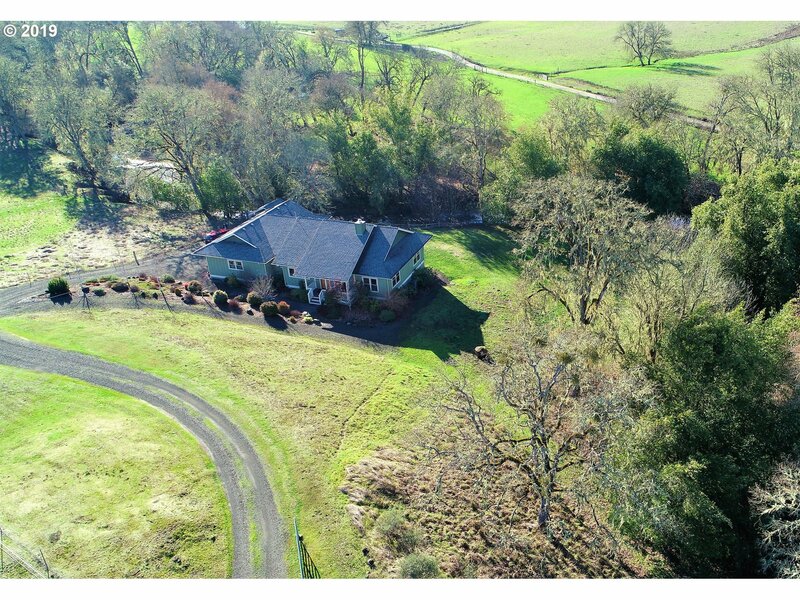 Enjoy the country feeling, but only a few minutes to Roseburg. Watch the salmon spawn in your own back yard. The home features open floor plan designed for handicap access, Brazilian Cherry floors, beautiful clear grain fir cabinets, doors & molding. This is a Must See!